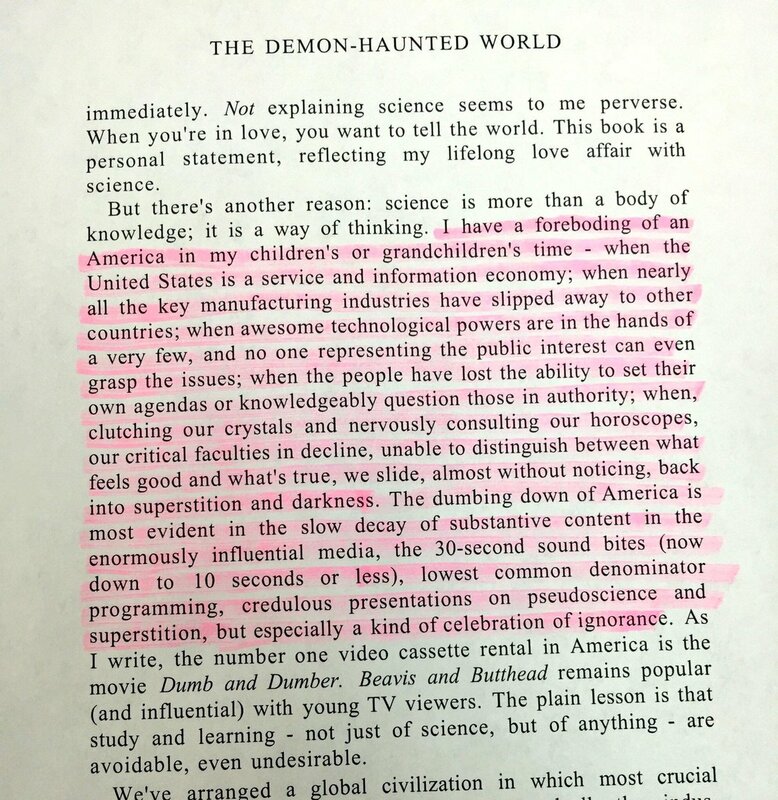 This entry was posted in Facts & Statistics, News & Views, Quotes and tagged Carl Sagan, celebration of ignorance, darkness, Demon-Haunted World, dumbing down, foreboding, global civilization, horoscopes, information, knowledge, learning, lowest common denominator, science, superstition, technology, TV on August 18, 2017 by Ray Buchanan. get informed. get angry. get involved. 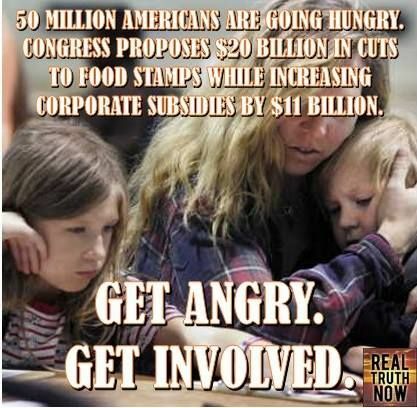 How is it that we do not have the financial resources to provide relief for the most vulnerable among us, but we always have the means to subsidize our largest and most profitable corporations? The answer is not that difficult. In fact, it is fairly straightforward. It’s about wealth and greed. It’s about what we value, and it’s about our political leaders feathering their own nests. It’s about not caring enough to get involved. And when we continue to elect leaders who vote for allowing millions of our citizens to be stalked by hunger, we need to be honest with ourselves. We are complicit. This entry was posted in Facts & Statistics, Hunger & Poverty, News & Views and tagged caring, compassion., complicity, corporate subsidies, cut, food stamps, greed, hunger, information, involvement, political leaders, poverty, real truth now, SNAP, subsidies, wealth on April 10, 2017 by Ray Buchanan. Although my trip is only about half way to the finish I am already pleased over all that I have been able to accomplish. And just like the majority of my trips, so much of what has been accomplish has taken place in the midst of meetings. I have already lost count of the number of meetings I have been a part of since beginning this journey. And anyone who knows me knows I am not a big fan of meetings. But…there are meetings and then there are MEETINGS. You all know what I mean. Here in South Sudan I have met with doctors, agriculture specialists, managers of microfinance programs, pastors, farmers, teachers, church and education leaders. All have stories to tell, and each of them have helped clarify the needs and the amazing potential here in Yei County. It is exciting to see all the various pieces begin to come together. I have also learned from the numerous site visits we have been able to make, as well. Seeing brings to life all the information gathered in the hours of meeting. It has been a good and fruitful trip so far. I know the rest of it will be even more so. This entry was posted in Hunger & Poverty, News & Views, Travel Tales and tagged agriculture, church, doctors, education, farmers, information, meetings, microfinance, picture, South Sudan, stories, teachers, Yei on August 27, 2015 by Ray Buchanan.